Don’t Blame Trump for Losing the Shutdown Battle to These Legislative GeniusesA close analysis of how Democrats somehow outmaneuvered the great negotiator. Senate Democrats Are Already Using Kid Rock to Raise MoneyIf the “Pimp of the Nation” is serious about the Senate, Dems want to be ready. 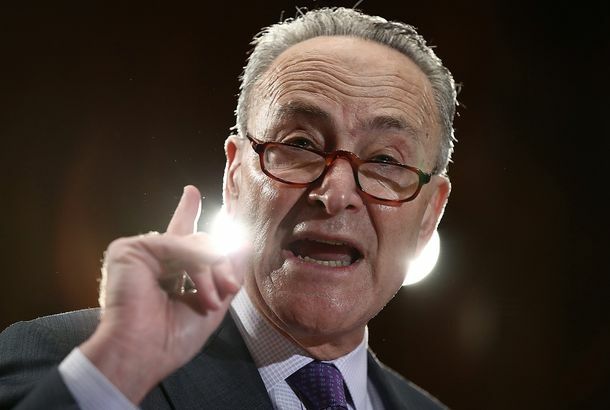 Charles Schumer Is Leading Democrats to Their Doom, ContinuedThe party’s most important politician does not get how politics works. Collaborating With Donald Trump Is Doomed to FailA short primer on how politics works, for Democratic senators who clearly don’t understand. Charles Schumer and Nancy Pelosi Have a Plan to Make President Trump PopularHelping Trump pass a huge and quite possibly corrupt infrastructure plan is not the way to defend their values. 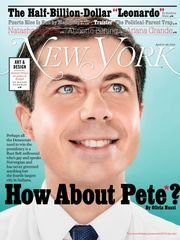 Strained Economics: Greek Yogurt Boom Has Hijacked New York’s Milk SupplyWhy buy the cow if Fage is on sale at Fairway? Ripples From the GOP’s Upset N.Y.-9 Win Reach Albany, and BeyondAn unexpected Democratic loss affects the re-districting musical chairs. Are Powerful Forces Trying to Take Down Prospect Park West’s Bike Lane?Chuck and Mrs. Schumer get embroiled in the controversy. Chuck Schumer Wants You to Know About a Designer Drug Called ‘Bath Salts’Bath salts are the new Four Loko. Chuck Schumer: No Four Loko for You, New YorkEarn them the hard way, like the rest of us. Schumer and Menendez Pushed for Tax-Cut VoteWhy did Senate Democrats refuse to listen to the guys who got them elected? Chuck Schumer Thinks the Intrepid Can Win Its Very Own Space RocketA NASA space rocket to have and hold. Erin Wasson Hearts J.Crew; Pretzel Chips Kills Anorexia AdsPlus, Christian Siriano’s Craigslist imposter! Emeril Films New Series; Memorial For Monica Held at Zabumba TodayLagasse gears up for Fresh Food Fast and a Palms restaurant honors its slain owner. Yanks Versus Phils: The Return of the Cheesecake Versus Cheesesteak ChallengeCouldn’t they have mixed it up a bit? And will Philadelphians even want cheesecake? Hassan Nemazee Fooled Banks TwiceAt least! Smith: Schumer’s Health-Care CrossroadsThe senator is playing the staunch health-care idealist for a White House whose pragmatic and calculating instincts match his own. Chuck Schumer Is That Guy Who Says He Is ‘Friends With Everyone’The New York senator is jumping on the populist bandwagon now that it’s cool. Smith: How Bloomberg Could Finally Build Moynihan StationSenator Schumer has provided a glimmer of hope for the long-delayed project. Can the mayor follow through? UPDATE: Senator Charles Schumer in Hot Water With Local Arts OrganizationsNo one seems happy that the stimulus package all but ignored the arts. Chuck Schumer Has a PosseGuerrilla marketing the New York senator’s proposed special finance unit.